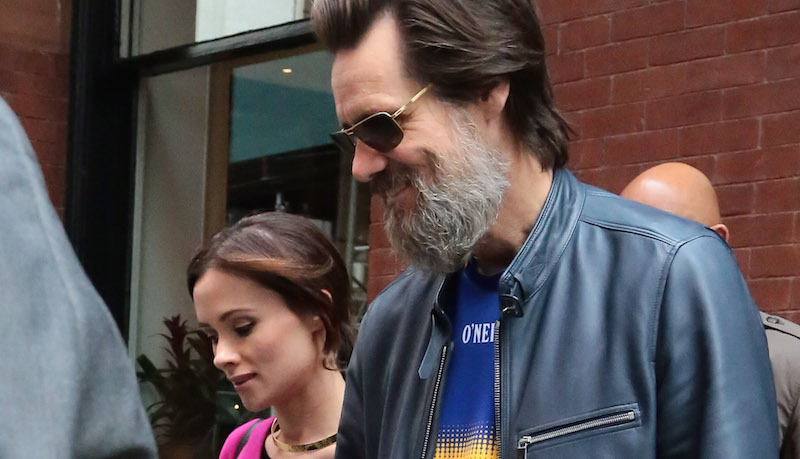 Jim Carrey and Cathriona White are spotted hand in hand leaving their hotel on May 21, 2015 in Manhattan, NY. According to TMZ, Jim Carrey’s on-and-off girlfriend, Cathriona White, was found dead from a possible pill overdose, just a few days after the couple broke off their relationship. Carrey and White—who was 28—reportedly met in 2012 and rekindled their relationship in May. They broke up again on Thursday, TMZ reports, the same day White tweeted a cryptic goodbye message. She also reportedly referenced their breakup in a suicide note. According to the site, her body was discovered Monday night after two friends went to check on her. Authorities reportedly found pills on the scene and believe she may have died from an intentional overdose.